Exploration no. 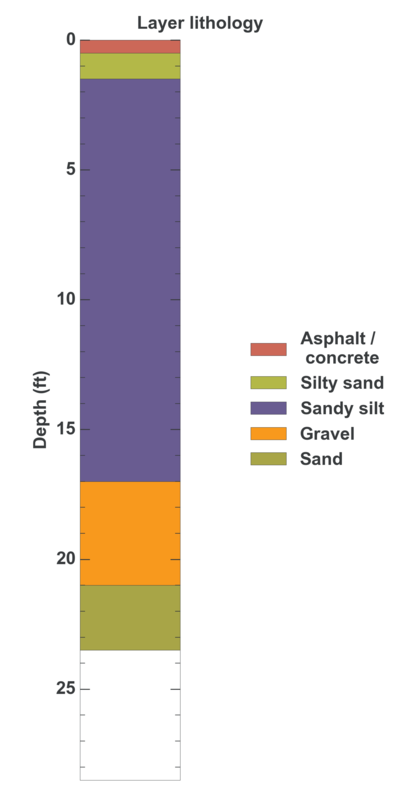 71982 is a Geotechnical (depth 23.5 feet) named: B-2 described in subsurface document no. 15348. The document, a report titled Detention Ponds 179 and 180, Phase I Drainage Master Plan Implementation was prepared by Converse Ward Davis Dixon on 05-12-1981 for a Utility project.